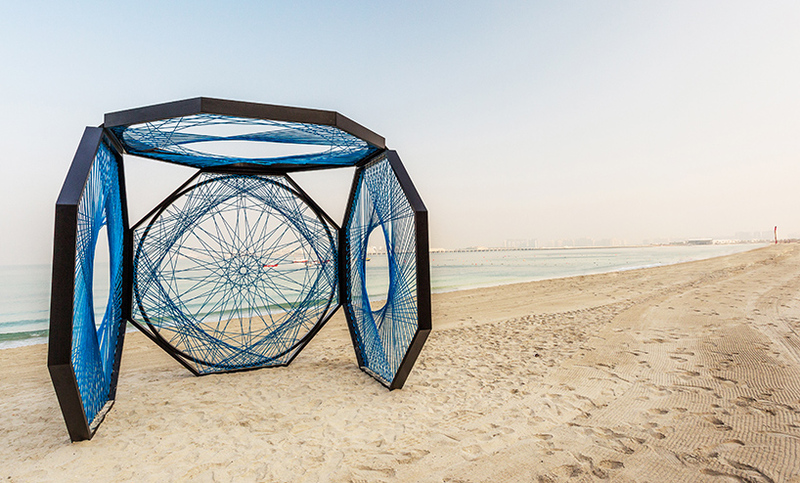 the style of shore fishing, called ‘yaroof ياروف’, uses beach seine netting made of strong, woven mesh, which is mainly used in the capture of small fish. 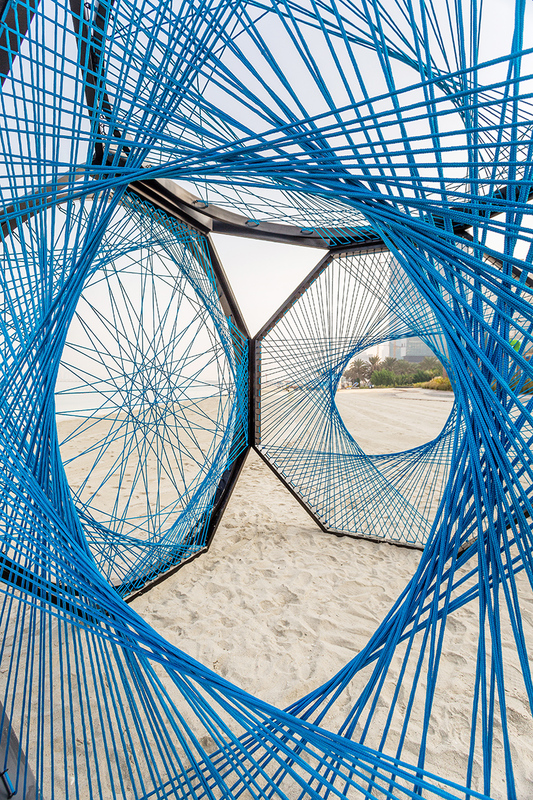 fishermen lay the net at the shore while he wades into the sea with the edge of the net firmly in his grip. 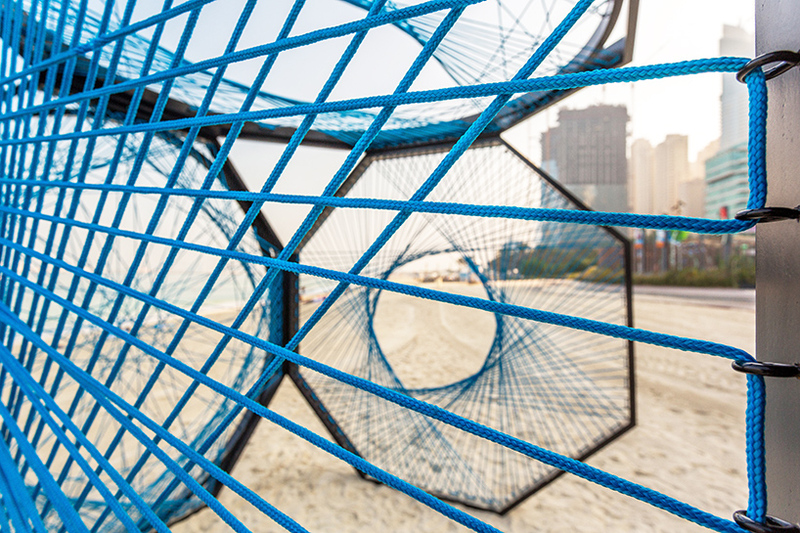 fish are caught inside the net when it is pulled ashore with the help of other fishermen. 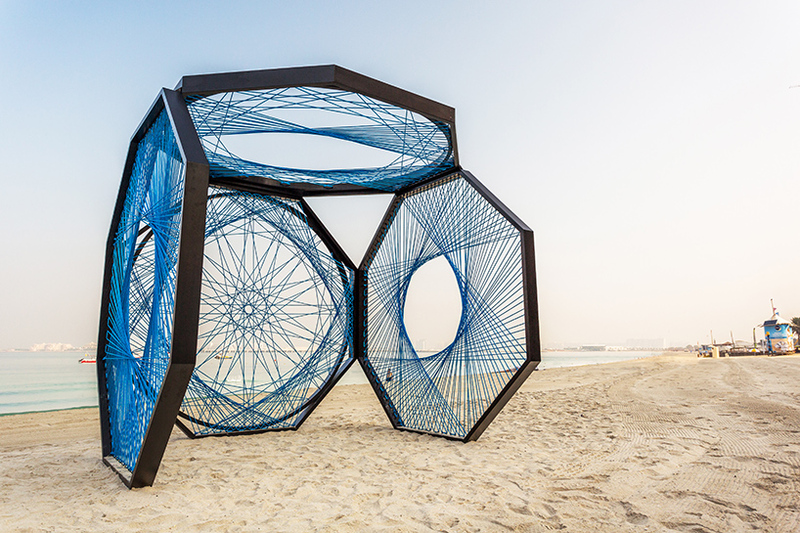 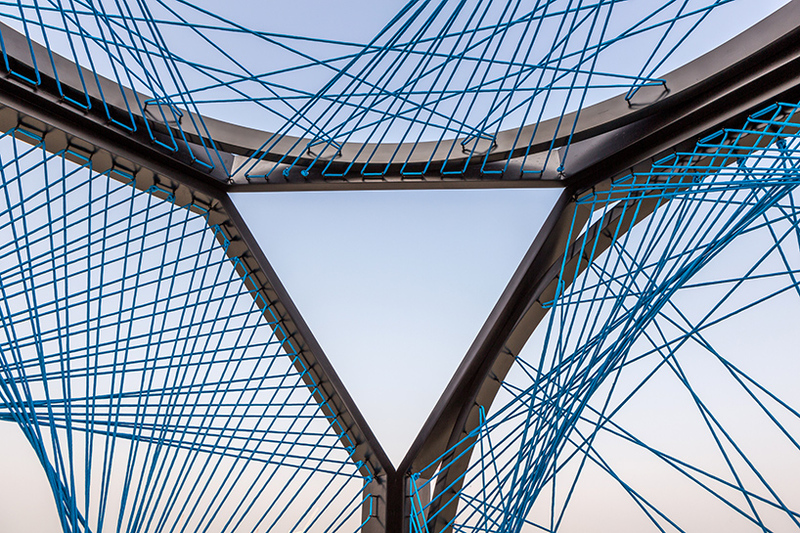 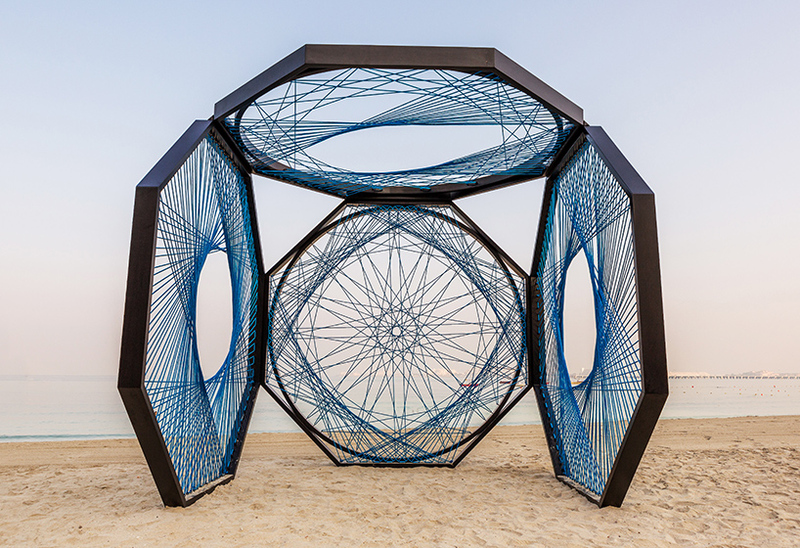 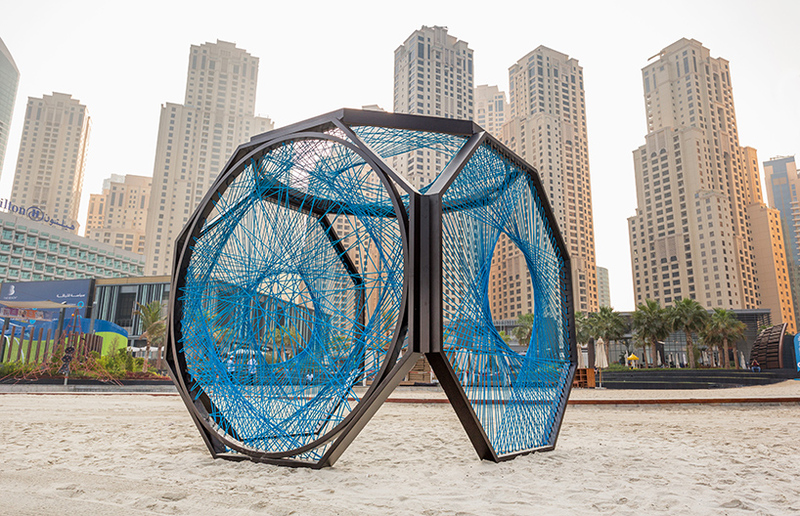 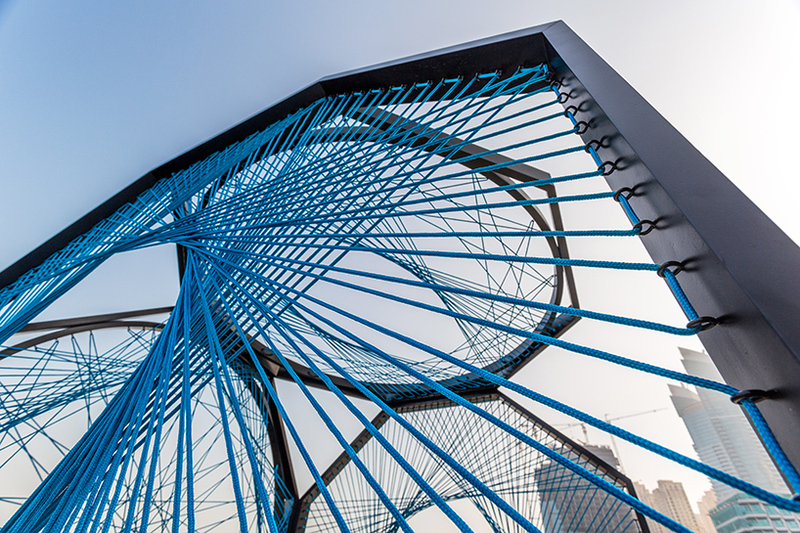 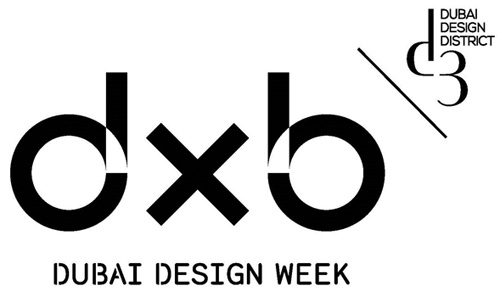 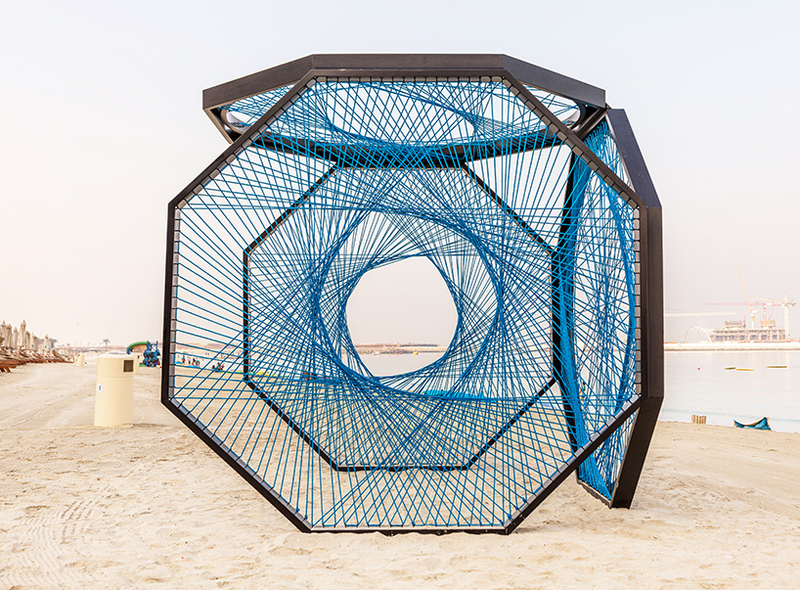 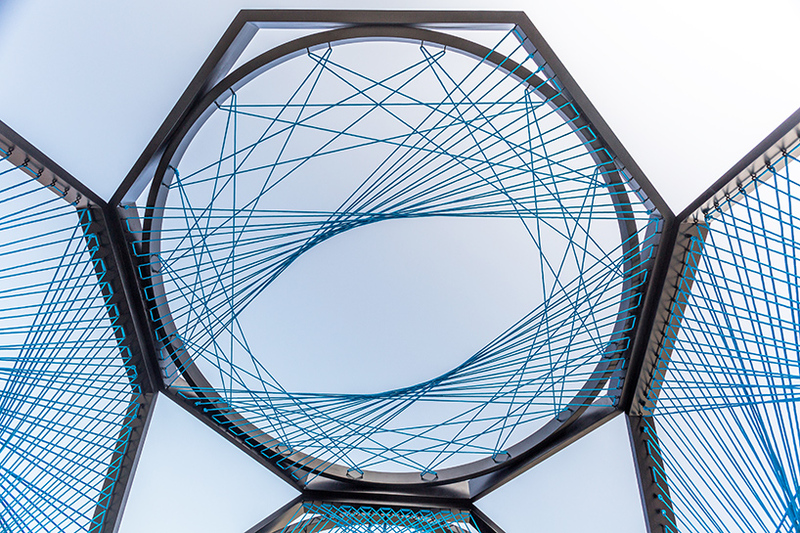 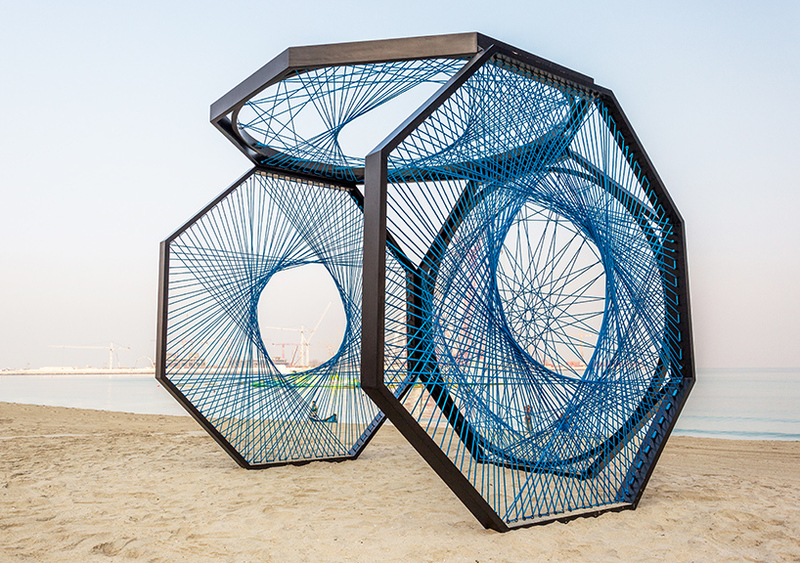 comprising four octogonal frames, the installation’s structure and components are completely motivated by the unique process of yaroof fishing. 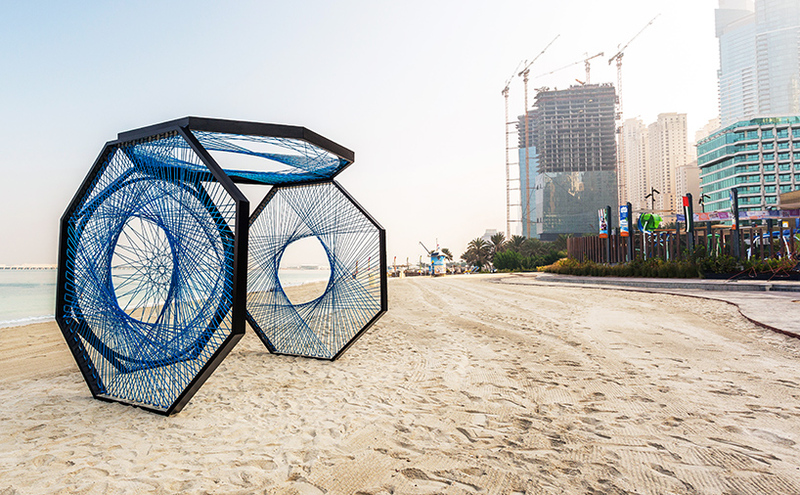 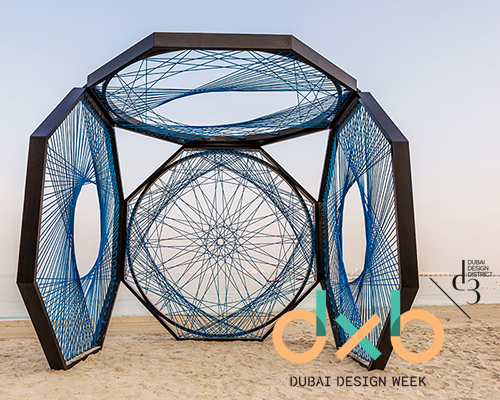 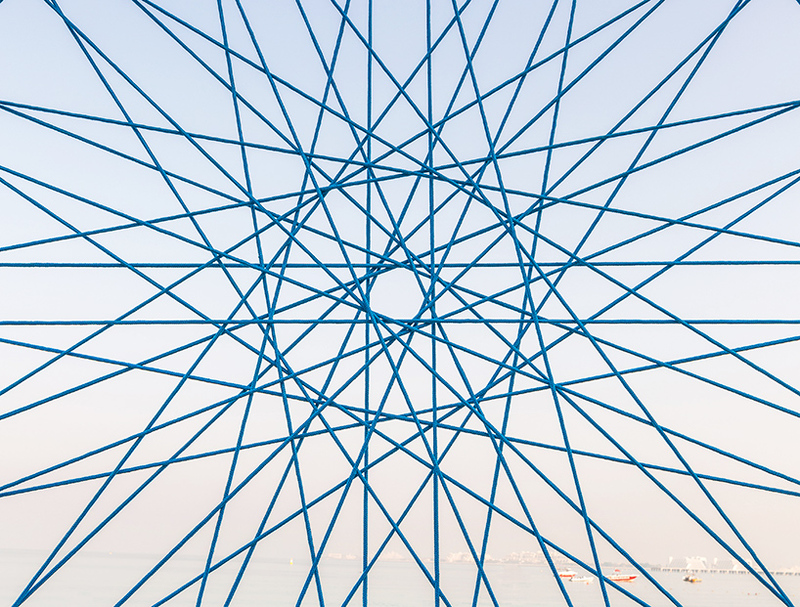 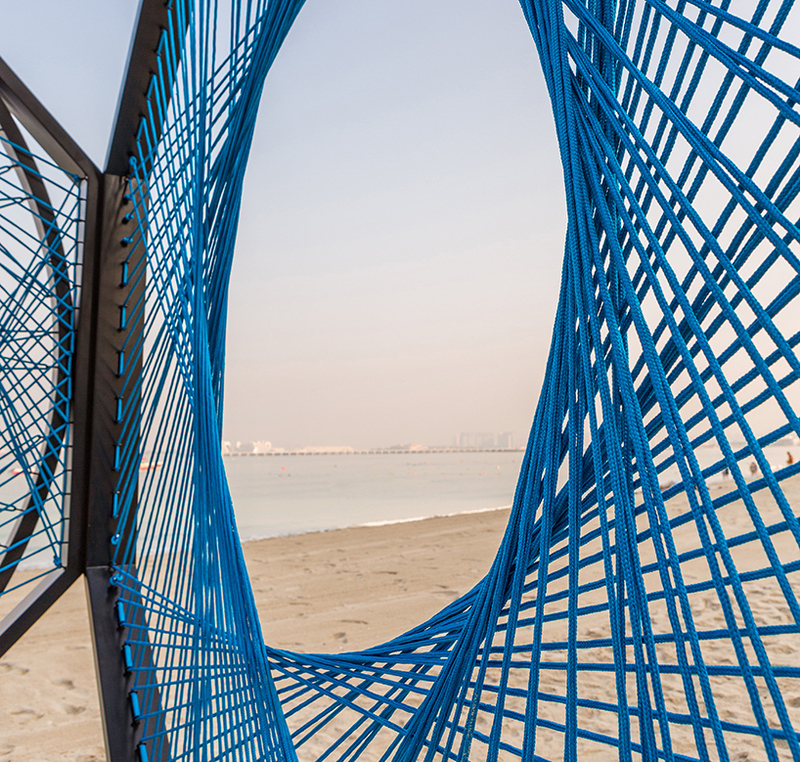 blue nylon ropes weave intricately linked patterns that depict the both shape and configuration of a fishing net, while also closely mirroring the complexity of arabesque motifs. 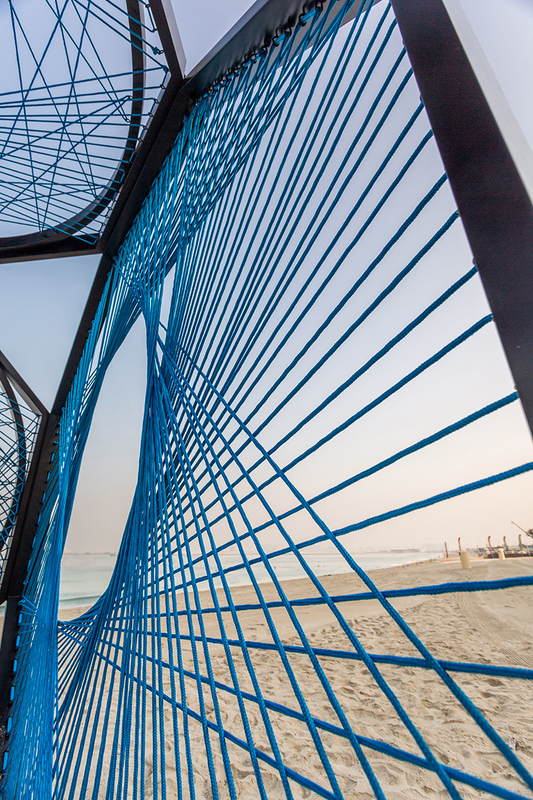 the curves and small circles found in the design of the nets, however rounded, are created entirely with straight lines.